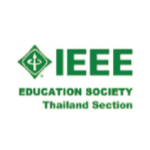 Entrepreneurship in Engineering Education (EiEE´18) aims to promote the discussion of goals and experiences to reinforce entrepreneurial education at engineering educational institutions (colleges, universities). The organizers are members of the Austrian Federal Working Group "Entrepreneurship for Engineers" (EfE). Internationalization of higher education is increasingly common worldwide, bringing along multicultural academic communities. Education in multicultural environments is a complex issue, posing challenges for both students and educators. Students coming from different cultures respond to different teaching styles and approach the learning process in different ways. Research has shown that cultural differences have various effects on aspects like: course planning and implementation, performance and level of satisfaction of students, attitude towards educational technology etc. Consequently, educators all over the world are faced with difficulties in the need to adapt their teaching style and contents to the various cultural backgrounds of the students. Furthermore, in the context of scientific research, the increase in distributed and multicultural teams has generated similar challenges. Different societies respond to distinct ways of working, and have a multitude of cultural norms of social behavior. This session hopes to bring together educators and scientists willing to share their experiences with multicultural and international environments and to elicit lively discussions on the challenges and possible solutions to the various issues arising in multicultural educational and scientific settings. Additionally, this session aims to highlight the role of music and color in multicultural education. In exposure to music and color (like therapy or ambiance enhancement), each individual receives assistance and encouragement in the acquisition of new learning skills and abilities. Because music and color touch each person in many different ways, music and color immersion offer opportunities for learning, creativity and expression that may be significantly increased from more traditional non-music-assisted approaches. The 7th edition of the Special Track Talking about Teaching (TaT’18) within IGIP2018 aims to promote the discussion on Engineering Education by providing an opportunity for debating and sharing ideas, approaches, developments and experiences. The organizers of TaT’18 also invite working group members of the International Society for Engineering Pedagogy (IGIP) to join this Special Track in line with the mission of IGIP and to present results of their group activities in a collaborative approach. The proposed topics are concerned not only with resources in engineering education (EE), the constant demand on the use of technology and its present role, but also with the effectiveness of knowledge in order to guarantee simultaneously the diversity and inclusion in EE, teachers’ professional development, the perspective of EE oriented for STEM and the spirit of engineering leadership in society. English as a means of international communication contributed greatly to dissemination of Engineering Pedagogy ideas all over the world. But at the same time, it causes some problems with Engineering Pedagogy terminology for some IGIP members who are not English native speakers. In order to overcome these difficulties, IGIP has started a project, which goal is to compile “IGIP Multilingual Glossary”. It should contain basic Engineering Pedagogy terms and their definitions in English as its core, equivalents in the languages of IGIP countries where definitions will include the differences in meaning and educational systems. The electronic version of “IGIP Multilingual Glossary” will be uploaded to IGIP site with the possibility of further development. Sports play a vital role in our lives. Mobile technology, Smartphone or wearables are examples of Digital Technology products that improve the way that we made sports as well as enhance sports education. This special session offers the opportunity to present recent results concerning the design, development, implementation and deployment of digital technology in different areas relating to sport and physical activity. The special session will act as a forum for education and knowledge transfer, between various organizations and actors in and outside sport. All accepted papers will be included in the conference proceedings, provided at least one author pays the registration fee and the paper is presented. Information and communication technologies underwent over the last few years a rapid development with consequences also for the sphere of education and upbringing. It is necessary to emphasize that this happened not only at the level of technological thinking. The reflection of the modern didactical trends takes place on the boundaries of the pedagogical, psychological, and sociological disciplines. The development is considerably accelerating in consequence of the ongoing technological changes and innovations. What is the real impact on the key and professional competences of the secondary school graduates? What do these competences follow? Do the education programmes reflect the demand of competences required by the industry 4.0 and the practice generally? Wherein is the present education reality determined in the sense of a broader conception of education technologies? Present-day time brings new technologies called as e-technologies. Communication in the traditional school has been concentrated on the direct verbal and nonverbal communication. Currently, electronic communication enters into education, e.g. E-mail, Chat, ICQ, Skype, WhatsApp, Viber, Linkedln, Facebook, Cloud, LMS systems, Webinars, Educasting, Podcasting. Teachers have to accept the present situation but also take a look further ahead on the development of new technologies that are suitable and meaningful for application into the education reality. It is possible to estimate that expansion concerns primarily the m-learning personal education environment, MOOC, new objects in the distance education, wiki, blogs, RSS, use of the licence Creativecommons, sharing of electronic study supports in the cloud, u-learning, t-learning, educasting, seamlesslearning, social webs, omnipresent clever telephones and tablets, extended mobile reality, and in general a shift towards mobile education technologies. To the fore come new skills, frequently called as skills for the 21st century. Intangible Cultural Heritage (ICH) content describes the practices, representations, expressions, knowledge, skills – as well as the instruments, objects, artefacts, and cultural spaces associated therewith. Although, ICH content is commonly deemed worthy of preservation, by UNESCO and the EU Treaty, most of the current research efforts are on the focus is on tangible cultural assets, while the ICH content has been overlooked. The primary difficulty stems by the complex structure of ICH, its dynamic nature, the interaction among the objects and the environment, as well as emotional elements (e.g., the way of expression and dancers' style). Learning analytics focus on assessing the learning process, and thus are useful on a course level (e.g. for identifying the learning trails and engagement of individual students) as well as on a department level (for e.g. predicting dropout rates and clustering students). The critical dimensions of learning analytics are the stakeholders (e.g. students or teachers), the objectives (e.g. reflection), the data (e.g. which measures are important, whether a student’s history will be considered), the instruments (e.g. data visualization or statistical analysis), the external constraints (privacy, ethics, etc. ), and the internal limitations (e.g. whether the analytics can be interpretable by the stakeholders) (Greller & Drachsler, 2012). Choosing along each of these dimensions can severely affect the quality, accuracy but also the usefulness of the analytics. Of particular importance is the data (i.e. which data from the student should be collected), and the visualization instruments (i.e. which methods should be used to transform the data into actionable information for the end users). In our case, the end-users are the teachers delivering a learning course, and the students who are participating in a collaborative activity. For instance, the teachers may use learning analytics to observe how a large number of students interact with the learning platform and identify metrics indicating problem cases with insufficient learning or how effectively they collaborated in a relevant activity. Moreover, the students will be able to see their collaboration outcomes in order to enhance their metacognition and social skills. In ANALYSE we welcome papers on the latest developments on learning analytics in collaborative and individual learning settings under both dimensions of data collection and data interpretation describing theoretical contributions, interesting applications and demos.